Chronicle Collectibles will open up U.S. pre-orders for the*Jurassic Park – Triceratops 1/15 Scale Statue by Prime 1 Studio starting tomorrow! They will be offering both the standard and the exclusive version. The exclusive includes a specialized name plate. Pre-orders for the statues will only run for a short time. Check out official details below. You can see the photos by clicking the headline of the story. We’ll update with the pre-order link tomorrow. We have a new pre-order debuting Friday, November 9th at 3pm CST for Prime 1 Studio’s 1/15 scale Triceratops statue from Jurassic Park. Product Details: • &#187; Continue Reading. 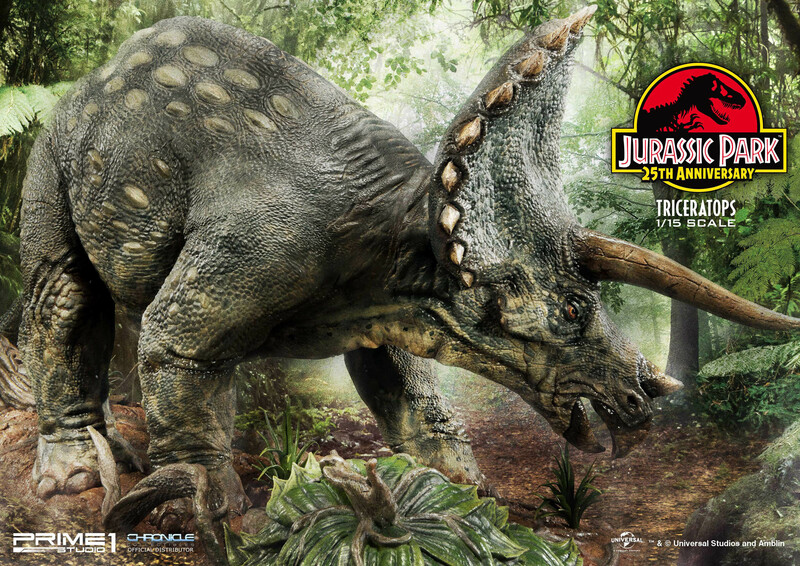 The post U.S. Pre-orders for the Prime 1 Studio Jurassic Park Triceratops Statue Start Friday appeared first on The Toyark - News.